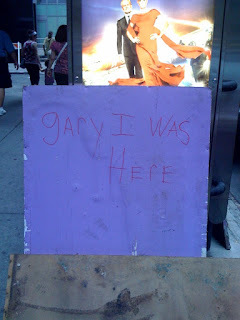 :: Construction Graffiti ::: Gary? A rather passive agressive message for a note written on a piece of sheetrock! Photo credit: OM - a repeat contributor!